It's summer and it's hot. Hot weather brings a special set of problems. During the winter, your worms became "dormant". 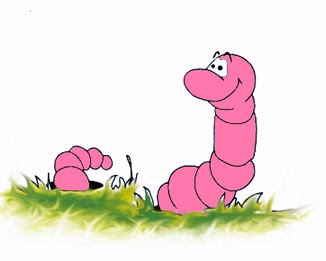 As the temperatures warm up, you worms will wake up and that means you need to wake up, too. What happens when worms become more active and what do you need to do about it? The worms start eating more. The worms start pooping more. The worms start breeding more. Extra worm activity means you need to up your feed rate, change the bedding more often, and divide your worms into more beds if you're not selling. When the weather turns hot, you need to pay special attention to the moisture level of your beds. Make sure the bedding doesn't dry out, as this will keep the worms cooler. Generally, you keep the bedding moisture (but not too moist!) in summer versus dryer (but not too dry!) in the winter. If the bedding gets too dry and the heat goes up, your worms will either crawl away or die. So, needless to say, never let your bedding get too dry in the summer. Remember, it the humidity is high, you'll need to water less. If the humidity is low, you need to water more. 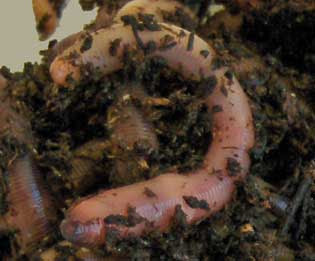 Monitor your worm bed either by "feel" (this develops over time) by running your hands through the bedding every day (several times a day if possible). Use a meter to gauge the moisture level until you develop the "feel". When the weather is warmer, the worms are breeding and laying eggs. Take advantage of this situation and make sure you're providing abundant food during this time. Be on the lookout for hatchlings, so you don't damage them when you go into the bedding. They are very vulnerable during this time. Tip: Don't handle worm egg capsules with your bare hands. The oil on your hands will render the capsules useless. Keep your worms (and yourself) cool this summer and get ready for the abundant future worm crop. For a step-by-step guide to worm farming in the summer or any time of year, check out my Worm Farm Manual: A Step-by-Step Guide to Raising Earthworms for Fun and Profit. 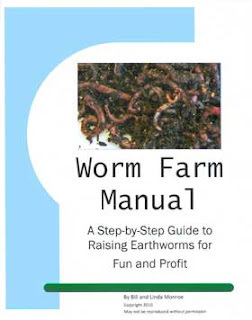 It's not rocket science, but worm farming does require a certain amount of know-how. With the right knowledge, you can save time and money as you build your own home based business.